Other event highlights included: Bundeep Rangar of Finequia sharing the Rise of Fintech and its Impact on Private and Public Markets; Brenda Irwin and Simon Whitfield of Relentless Pursuit Partners sharing their eye-opening experience in backing Kickstarter sensation smart bike Van Hawks; Sherwood Neiss of Crowdfund Capital Advisors disclosing data trends toward massive alternative finance growth including 1344 current global crowd capital portals; and Caroline Ong of IBM showcasing IBM’s AI-driven Watson as a question answering machine and the rise of the Cognitive Era. Key sponsors included: PayPal, AltFinEsq, Zyber, Fasken Martineau, Vancity, Quidni Wine and R2Crowd. The Pitching Showcase saw 9 select ventures compete for a prize package highlighted by a front-of-the-line audition in BC for the 2017 season of Dragon’s Den. CEO Lee Taal’s pitch explained the problem of high school students and teachers lack of an engaging and safe hub to learn, teach and connect on post-secondary and career options. Or as Lee stated, “If it’s not between their nose and their phone it doesn’t exist.” In turn, these institutions lack a way to engage and recruit these students. Lee shared how ChatterHigh offers a gamified interface to this information and connection via competitions like Canada’s Most Informed School and moderated Community Forums. Making career exploration fun drives traffic, anonymously, to these partner websites creating valuable exposure and analytics. The business model allows institutions to pay referrer fees for links back to their website. What’s Next: ChatterHigh previously raised $825k in founder and seed rounds. At press time they had $250k committed on a $300k round to fuel growth in Canada and the US with room for another, ideally strategic, investor. COO Penny Green shared their mobile payment app Glance Pay, launched on September 7th, 2016 and how it solves the problems of restaurant customer’s waiting to get or pay for their bills. The app enables convenient mobile bill confirmation, bill splitting, tipping and payment while offering digital expense tracking and rewards. The restaurants improve productivity and customer experience as customers can leave when ready. Glance Pay co-founder Desmond Griffin successfully exited on parking app Pay by Phone and Glance Technologies Inc. (CSE:GET) is public with a valuation of $15.7M. What’s Next: Glance raised around $2M via seed, IPO and private placements. While not currently raising capital, they are focused on restaurant acquisition toward a goal of becoming the biggest global mobile payment app for restaurants. CEO Michael Moll shared his story of their app (Google Play, App Store) that enables anyone to grow their own food via planning, tutorials, reminders and troubleshooting. The judges were impressed by his solution’s ability to use data on location, sunlight, season, and plant biology and so on to recommend what to grow. Tapping a trend for millennial and others with a desire to garden, My Green Space offers innovative features like virtual garden maps, watering reminders and their business model includes freemium subscription and commissions on convenient access to seeds, boxes, soil and anything else gardeners need. What’s Next: My Green Space has previously raised $60k from angels and is currently raising a $500k seed round, with $100k currently committed, closing Nov. 15th. Funds to be used for marketing and business and product development including software licensing. CEO Dr. Andrew Miki explained that mental health issues will affect every Canadian directly or indirectly through family members, friends, or colleagues. There are insufficient treatment resources to relieve the suffering of so many people and the costs to our global economy could exceed six trillion dollars by 2030. Starling Minds is an online mental health program for employees to reduce depression and anxiety symptoms while saving employers billions of dollars in reduced absenteeism and faster return to work times. Future plans call for AI and IoT integration to solve this global epidemic. What’s next: Currently, Starling is seeking a two tranche investment of $1.5M and $10M to execute on their B2B go-to-market plan (adding senior sales, senior marketing, customer success), business strategy (driving growth through international indirect channel partnerships), and R&D roadmap (Artificial Intelligence, Internet of Things) to continue building the most personalized solution for mental health. The winners received a prize package led by a coveted front-of-the-line Golden Ticket for the next BC auditions of CBC TV’s Dragon’s Den (subject to there being another season). Other prizing included a LEAP program package subscription from Launch Academy, mentorship from Fasken Martineau and Crowdfund Suite, and resources including Nathan Rose’s soon to be released Equity Crowdfunding Guide and the Ultimate Startup Bundle. The National Crowdfunding Association of Canada (NCFA Canada) is a cross-Canada non-profit actively engaged with both social and investment crowdfunding stakeholders across the country. 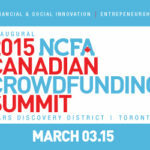 NCFA Canada provides education, research, leadership, support and networking opportunities to over 1300+ members and works closely with industry, government, academia, and community and eco-system partners and affiliates to create a strong and vibrant crowdfunding industry in Canada. For more information please visit: ncfacanada.org.